I am kind of surprised I haven’t shared this session as of yet. Julie & Gray married October 24th and their wedding was absolutely Grand. 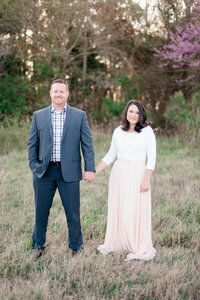 Julie was stunning in her custom long sleeve gown and Gray was certainly dapper himself. Their wedding reminded me of an old hollywood Gatsby style celebration. Before the wedding Julie wanted to do some bridal portraits. I was so excited she decided to do this because I would get to see the dress BEFORE the wedding! I knew her dress was going to be chic and classic… and so I was excited! Julie’s Aunt & Uncle opened up their home and allowed us to come in and take portraits. This home was AMAZING! Right on the water and the decor was magnificent! I was squealing in the car when I pulled in! We lost sunlight pretty quickly that day. And yet that didn’t stop us from having a good time and getting some pretty sunset pictures! Then after the sun set we moved inside and got some GORGEOUS dramatic pics of Julie. These are probably my favorites. Julie was such a classic bride. She is a modern day Lady Mary and carries herself with such dignity and confidence. It has been such a pleasure working with her and I am just in love with everything about their wedding! Visit Their Engagement Party Here!